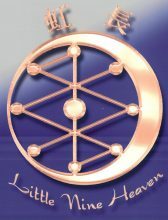 Little Nine Heaven is the oldest Taoist system known today dating back to 2698BC. 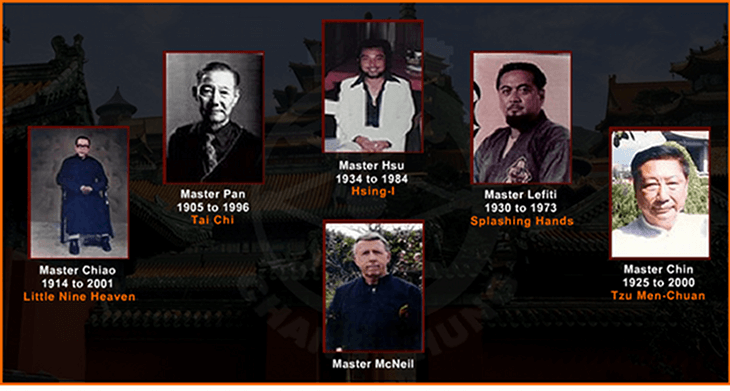 It consists of three skills: ju kung (boxing), chian-kuan jen (swordsmanship) and shi shui (bone marrow washing). It consists of five forms, twelve animals, three rushes, five harmonies and the nine essentials. It is also the highest level of the I-Ching (Book of Changes). Master McNeil is one of only two teachers in the United States to teach this system. It is only taught to personally picked students, who have progressed in their study of the styles outlined below. Iron Hand the term, refers to the properly developed human hands which can become hard like iron and generate trememdous power, but still maintain the look of a normal hand. It dates back to the early days of the Shaolin Temples. There are several methods of training in iron hand including ‘slapping’, ‘thrusting’ and ‘cooking’. It is very important to know you have a qualified teacher or your hands could be damaged. Ther is no other comparable Iron Hand training being offered anywhere in the world. tecniques. Moxibustion involes burning moxa, an herbal preparation, to heat an injured spot. The heat and herbal smoke soak into the skin along the meridians to facilitate the healing process. Taoist Meditation leads to a trememdous sense of inner peace and a structure to achieve higher levels of chi meditation. It encompasses both forms of meditation: sitting and standing. Ba Kua or eight diagrams forms the basis of the I-Ching. The foundation of Ba Kua is in the circling movements and it’s constant changes. The ultimate goal is to allow the body to move, act and react naturally. It is believed that Tung Hai-Ch’uan learned it from a Taoist master in the mountains of Kianasu Province. Tung started teaching it to the public in the late 1700s. There are three sections to the exercise: 1. slow motion, 2. continuous motion, 3. continuous motion with different kua’s (hands). There are eight animals, ten exercises and three styles of walking: natural, medium and low. Anyone can walk a circle, but not everyone can walk a Ba kua circle. Tsu Men-Chuan is a soft style of shaolin kung-fu that was developed in the Shaolin Temples. The earliest recorded history of Tzu Men-Chuan is in the Ching dynasty (1736-1796). There are three forms and eighteen characters each representing one set of postures. In fighting, each posture has it’s own special spirit and method.